When used properly, a blender can be a joy to use together with a juice extractor, for a fulfilling juicing experience. What to look for when you shop for a BLENDER. You decided you want a blender. Read about the differences between a juicer and a blender before you make that purchase. Also known as the Jar Blenders, a larger jar (also called a “carafe”) is managed by a base that contains sharp blades. This carafe is usually made of glass, plastic, porcelain or stainless-steel material. Atop the container is a removable jar lid that prevents the ingredients from splashing out during the operation. This type of blender is designed to whisk liquids at incredibly high speed to blend food items into slush or puree-form. If you like to make your smoothies with ice, or make big volume smoothies, this is the type of blender that would suit your needs. 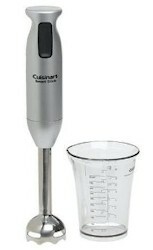 The hand-held immersion blender is made up of a slender base connected to a stainless steel pipe. Unlike the traditional blender, immersion blender has no container of its own, so you plunge that sharp blade into your prepared ingredients and press the switch to start your blending process. This type of blender is intended for less strenuous types of blending and cannot be used for processing hard substances like ice and other hard material materials. However, blending in deep containers like pan, cup or bowl using hand-held immersion blender can offer great convenience. Take into consideration, the length of the shaft that should be considerably long enough to be used in deep containers. The size and weight of the blender may affect how you handle it for the types of foods you will mostly be using it for. 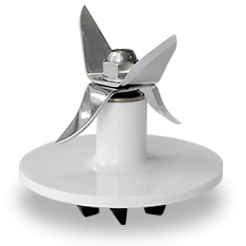 Definitely choose blades that are stainless steel to prevent rusts. Hold the apparatus in your hand to see if it has a good contour that gives a good grip. I find this type of blender handy for making that quick glass of fruit smoothie without ice. I have both types of blenders but personally don’t use them very much for making smoothies. I use my Alpha Juicer to mash my slightly-frozen fruits, put them in a shaker with yogurt and a little juice, and give it a long and hard shake. This way I get a rich yummy smoothie/slushie that is not oxidized. The blender works very much like a centrifugal juicer, in that it uses a high-speed spinning blade to cut up the fruits. This method does cause oxidation and destroy the enzymes of the produce. Therefore, it is not recommended to be used to blend fruits that have high iron content as iron gets oxidized faster than other substances. Adding a piece of lemon might help to lessen the oxidation but may alter the taste of your smoothie. 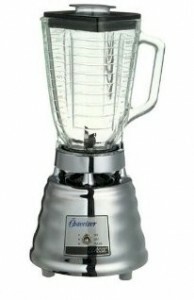 Blenders are easily available in most departmental stores in most countries. They cost anything from US$30 to about US$400. Do not buy a cheap blender that has a weak motor, nor purchase a fancy blender costing well over US$200. They all do the same thing. Some blenders have only one or two speeds while others have up to sixteen speeds. But before spending another extra dollar, experts say that blenders having more than three speeds are overkill. Regardless of how many speeds you prefer, having a pulse button in your blender should be considered. This button gives you more control over the ingredients you are working and ensures that you do not overdo the process. Check how easy the blender is to wash. Are there hard-to-reach corners, especially under the blades? If it is built with removable blades it may offer more convenience in cleaning although there may be a risk of leakage if not assembled properly after wash. Consider the blender’s motor wattage. For regular daily use like blending sauces, dressings, and dessert mixes, 300 watts is sufficient. If you intend to blend ice-cubes with drinks or large quantity of nuts, 500 to 800 watts might be better. Choose the best blender that you can afford, that does the job, is durable and has all the basic functions. How do you know that it will do its job or whether it is durable? The cheaper blenders usually come with the basic four buttons which are really all you need: pulse, low, high and stop. The really cheap blenders may not have a strong motor and after using it for a few minutes, it might smell like something’s burning. These cheap blenders are also very noisy when in use. The high-end fancy blenders may look very sophisticated and classy with extra buttons that may say puree, whip, mix, frappe, etc. Don’t pay your hard-earned money on these extra buttons. You don’t need them. Choose a blender from a good kitchen appliances brand, such as Braun or Kenwood. Shop around for one that suits your budget and that the design you like. A reasonably good one priced under US$100 should serve you well for a long time. Test it at the store to check the noise level. Some operate incredibly loud— forget those. Also check that it has a solid base that when in operation, you don’t have to hold it down all the time. Enough said, the juicer and the blender, hand-in-hand when used properly, can be your faithful companion taking you through an exciting journey towards a healthier new you. Read this comprehensive tips if you’re looking to buy a juice extractor as well. To work a blender: Put in all your cut-up ingredients and liquid of your choice into the blender container. Start by pulsating, gradually increasing to low power until the food is cut into smaller bits. Then go on high power for about 2 minutes to blend them to a smooth, creamy, light and fluffy finale. If you want to add ice, put them in towards the end and give it a quick crush so that they don’t melt and dilute your smoothie.